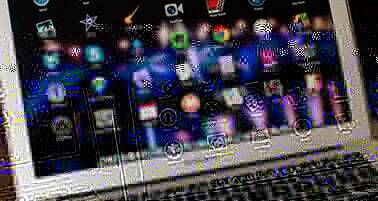 Do You Want to Merge or Split MOV Videos? Have some MOV video clips and want to merge them into a big one file for playback without any interrupts? Or in order to save space, you want to split a giant MOV file into several segments? You can do it now! 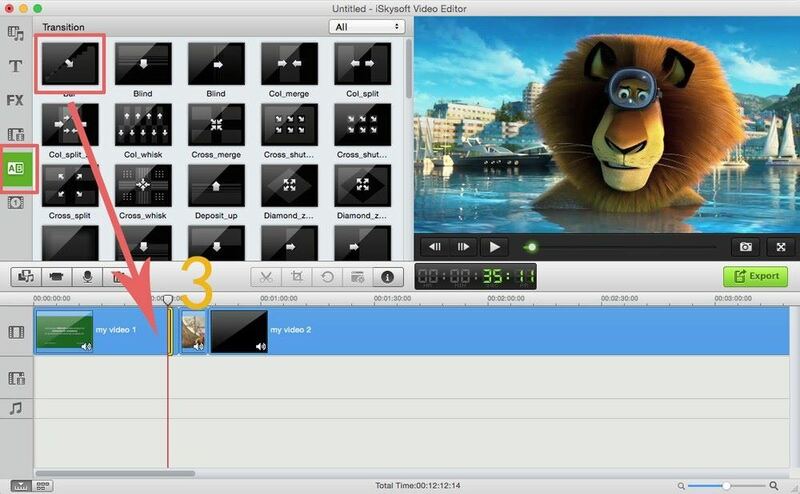 This article is specially written down to tell you how to join MOV videos on Mac and how to split MOV file on Mac (Yosemite, Mavericks, Mountain Lion, Lion included). 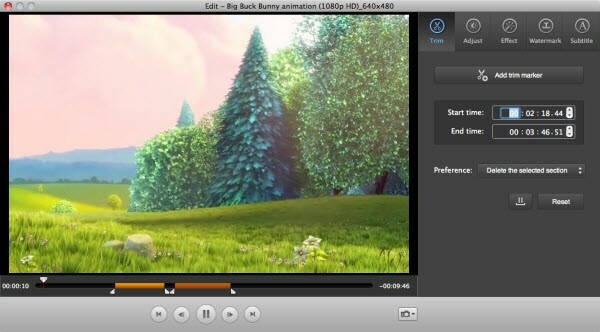 First and for the most, you need the MOV Video Converter for Mac for help. 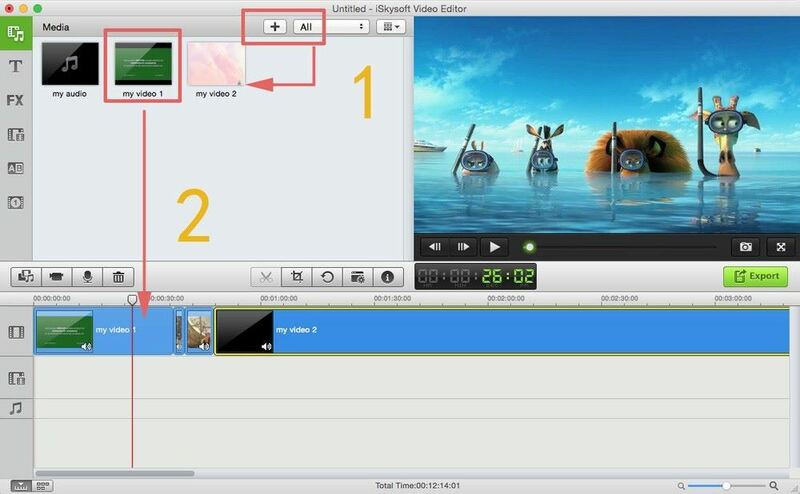 It is a professional app for merging for splitting MOV videos on Mac. Let's take a look at how to achieve your goal. Step 1: Load MOV files to the program. Drag & drop MOV files to the program. Or go to the "File" menu, choose "Load Media Files" to locate the MOV files you want to add. Step 2: Select MOV as output format. Select "MOV" as output format and all files will be converted to MOV format. Step 3: Merge MOV files on Mac OS X. Check "Merge" at the bottom of the window and then click the "Convert" button. You'll get a continuous MOV movie. Select any format of your choice in step 2 and you can merger MOV files OS X and convert them to other popular video format like WMV, FLV, MP4, MPG, AVI etc in one go. In addition to Filmora Video Converter for Mac, there is another solution for your reference - Filmora Video Editor for Mac, which helps you join multiple MOV videos into one with only a few simple steps. Step 1. Click the "+" button to import your MOV files to this program. Or you can directly add MOV videos by dragging and dropping as well. Step 2. 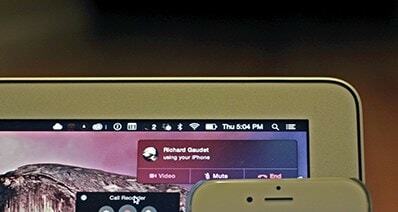 Drag and drop the videos to the timeline one by one or in batches. Step 3. Now you should place all videos in right order as needed. If necessary, you are able to insert animated transitions between two clips, so as to make the change from one scene to another more artistic. Step 4. 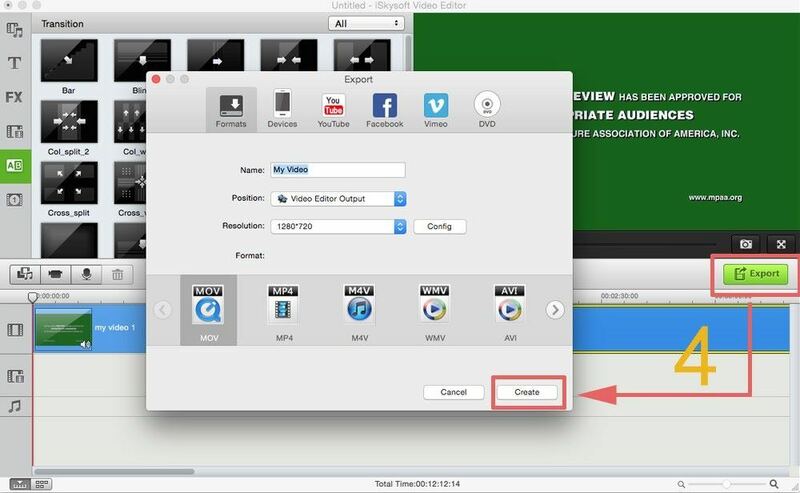 After arranging all MOV videos, you can hit the "Export" option to export the video to any device as you want. Well, the above two tutorials aim to help you combine MOV videos, if you want to split a MOV videos to several ones, iSkysoft Video Converter for Mac can be always useful. Step 2: Open "Split Window". Move the pointer over the thumbnail of the video and click the Edit (Pen) button. Or you can go to "Edit" menu and choose "Trimming". 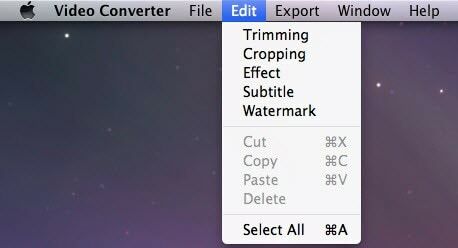 Step 3: Trim MOV files. In the "Trim" tab, click the Add trim marker button to show a segment with two markers. Adjust the markers to set the starting time and ending time. When closing the window, the results will be saved. You'll join the selected segments with unwanted parts cut off, or join the non-selected parts, depending what is selected in the Preference option. Step 4: That's it! 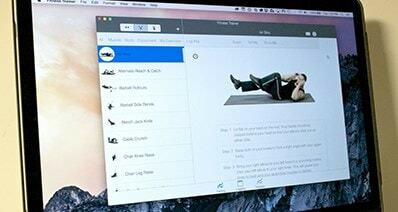 Let this MOV Video Converter for Mac do the rest for you. 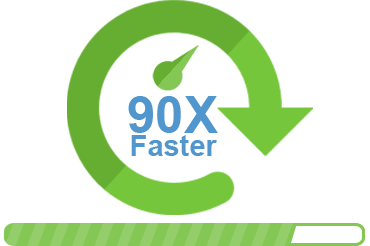 Select any format of your choice in step 2 and you can join several MOV videos and convert them to other popular video formats like WMV, FLV, MP4, MPG, AVI etc in one go. What Are the Features of Mac OS X El Capitan for Business?